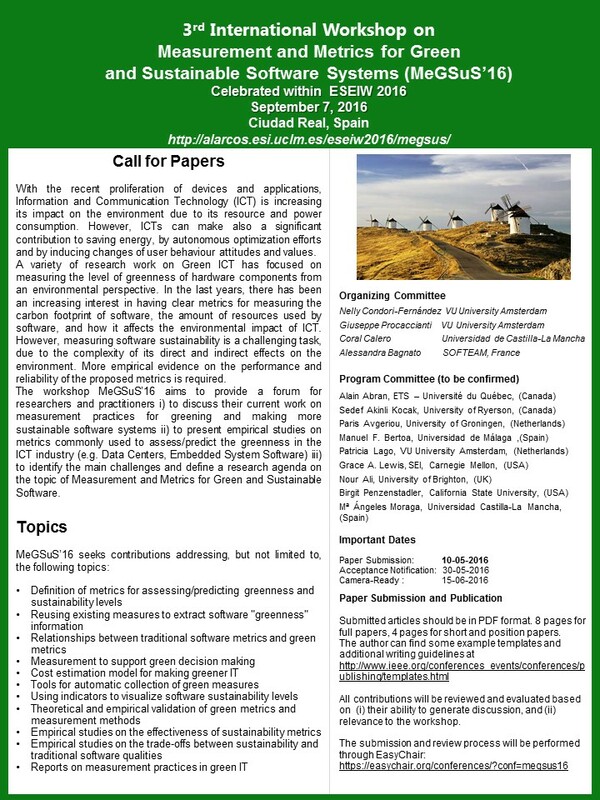 ESEIW 2016 (5-9 September) will take place at the Escuela Superior de Informática (the Computer Science Faculty) of the University of Castilla-La Mancha, in Ciudad Real, Spain. 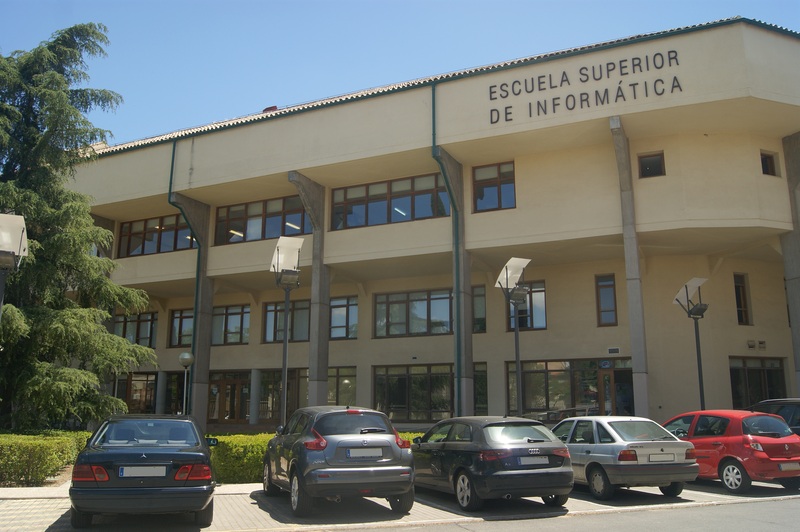 Ciudad Real (which means ‘Royal City’ in Spanish) is a city located in the Southern Central part of Spain, in the region of Castilla-La Mancha, which is the “Don Quixote” region. 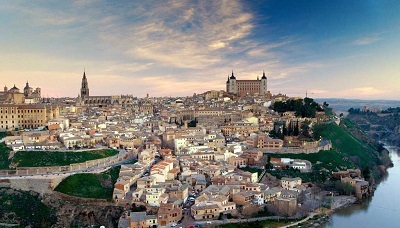 It is not easy to categorize Castilla-La Mancha, for it is a region of great variety and complexity. On the one hand, there is the ruddy red earth, the windmills, and simple whitewashed villages of the province of Ciudad Real (which encompasses most of the area commonly called La Mancha). 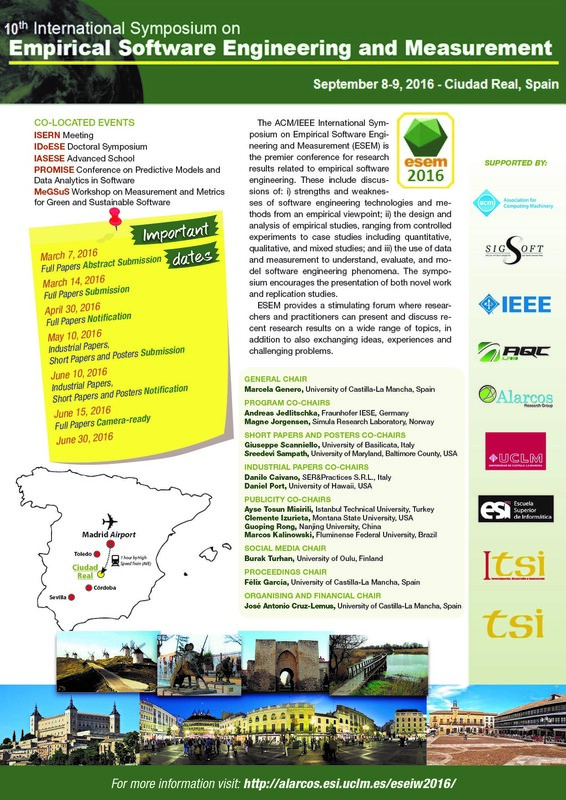 But there are also the strangely sculpted cliffs of Cuenca and Albacete, the hilly woodlands of Guadalajara and the dark mystery and ancient cultures of Toledo.It is perfectly located for transport connections, as it is only 1 hour away from the main cities of Spain: Madrid (1 hr by high speed train), Barcelona (less than 1 hour by plane), Toledo (1 hr by car), Córdoba (70 minutes by high speed train) and Sevilla (2 hr by high speed train). 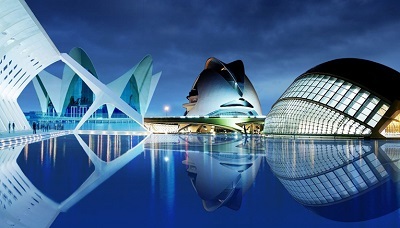 It is a modern city, one of the very few in Spain where you can forget your problems and have time to enjoy yourself. Ciudad Real’s citizens love the outdoors, enjoying the weather and people. Their hospitality and open mindedness make visiting this city an experience that nobody should miss. 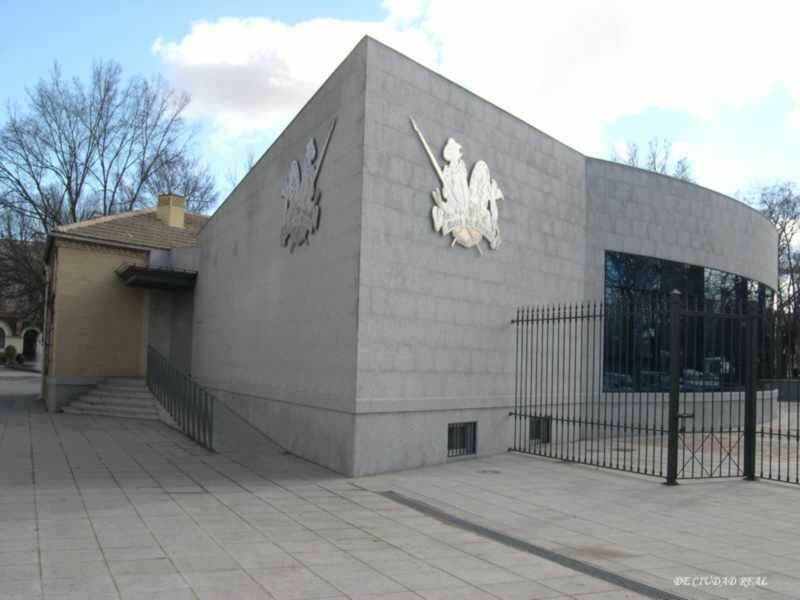 Of the principal architectural constructions that the city has to offer, the following is particularly worthy of note: The Puerta de Toledo. During the Middle Ages, four kilometres of walls and one hundred and thirty towers protected a population made up of Christians, Moors and Jews. 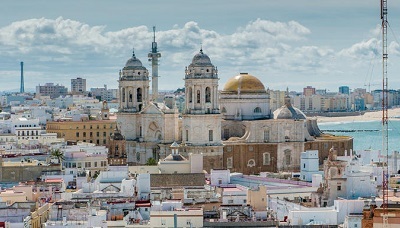 After the unification of the peninsular kingdoms under the Catholic Monarchs, Ciudad Real became the capital of the province of La Mancha in the 17th century. This favoured its economic development which was heavily invested in important buildings. 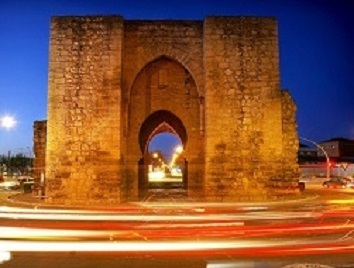 A good example of Mudejar architecture (14th C.) in La Mancha is the Puerta de Toledo, one of the eight gates by which the city was originally accessed. This gate is all that remains of the walled Royal City of Ciudad Real. 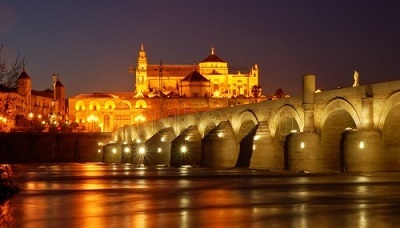 It has 6 arches (the 2 exterior of which are ogival and the 4 interior of which are horseshoe shaped). It also has 2 square towers, one on each side of the arches, and the coat of arms of Castile can still be seen on the walls. The Cathedral of Santa María del Prado is a good example of the combination of styles resulting from a long construction process. Its earliest elements correspond to the 13th century, while the latest ones date from the 19th century. Inside, the Baroque reredos and choir stalls are outstanding. It is a transitional Gothic building, although its origins lie in a Romanesque shrine. 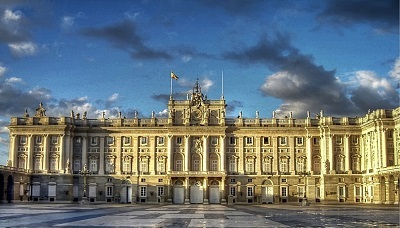 It has undergone several restorations, the most recent of which led to its current appearance. 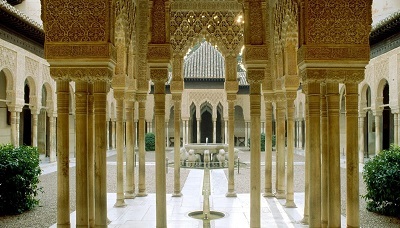 The first remodelling took place during the reign of Alfonso X “the wise”. The south doorway and the main altarpiece are in Renaissance style. The Perdón doorway, which is Gothic with Romanesque elements, is thought to have been the church entrance at the time of Alfonso X. Notable items in the sacristy include several paintings, a paxboard by Becerril and an excellent Baroque chest of drawers. The new tower, completed in the 19th century, comprises four sections crafted in stone. 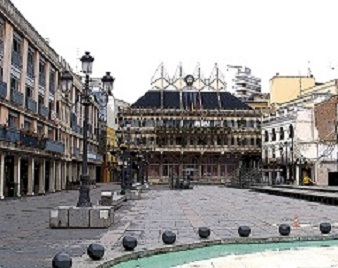 The main square of the city is made up of a diverse set of architectural styles of which the city hall is the highlight. 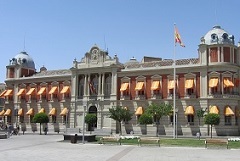 The town hall dates from 1976 and was designed by Fernando Higueras. Its peculiar physiognomy is neo-Gothic in inspiration, reminding us of typical municipalities in the Netherlands. Facing the town hall is La Casa del Arco (the arc house), the former fifteenth century town hall, which houses a clock that only chimes at certain times of the day when figures of Don Quixote and Sancho Panza go out on to the Cervantes balcony to the sound of music. The summer schedule is: 12:00, 13:00, 14:00, 20:00, 21:00 and 22:00. Finally, under La Casa del Arco there is an arc fountain with a sculpture of Alfonso X, the founder of the city, created by García Donaire in 1967. 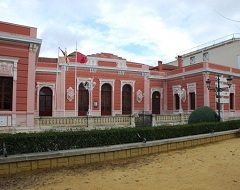 The reddish building located next to the Cathedral and once host to a Grand Casino and the 'Marcos Redondo' Conservatory of Music, now houses the offices of the Department of Culture and Celebration, and opened on June 7, 1887. This nineteenth century building is a classicist construction by Sebastian Rebollar, of which we can highlight the mouldings, particularly in the Ballroom where the decorative elements consist of palms, frets and plant forms. Also of interest are the beautiful Art Deco chandeliers, and the Conference Room with its mythological motifs. The radiators are designed as furniture with curved legs, and are decorated with plant motifs. This is the most beautiful civil building in the city, and is a fine example of late nineteenth century architecture. 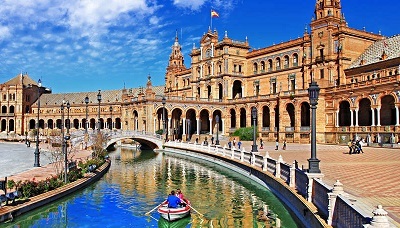 It was designed by the architect Santiago Rebollar, and was completed in 1892. It has three different facades, of which we can highlight the main facade, topped with city’s coat of arms, and the Merced, with a platform of Ionic columns surmounted by a pediment. The entire ground floor of the building is made of white limestone, while the upper floor is of brick and limestone. Inside, it is worth considering the main staircase which is split into two and was covered with a dome at the end of the 19th century. 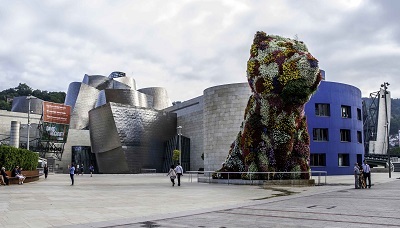 A modern museum where you can meet new exhibition concepts through the great gentleman of La Mancha and its particular universe. It consists of three rooms with audiovisual: the first presents the figure of Don Quixote view over time, the second is a reproduction of a printing seventeenth and the last is an assembly that makes us a summary of the novel. 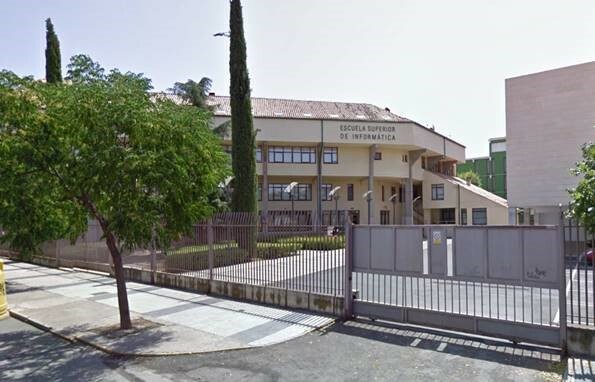 The museum contains the work of Manuel López Villaseñor, one of the leading exponents of Spanish painting in the second half of the twentieth century. 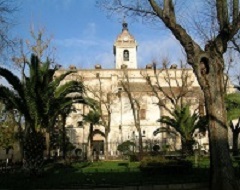 The Museum is also one of the city’s most important cultural centres. The López Villaseñor museum or House of Hernan Perez del Pulgar, since this is where the illustrious soldier from the time of the Catholic Kings was born, is the oldest house in the city and dates back to the fifteenth century. It has a raised bodied entry in the form of a turret, of which the highlight is the Renaissance facade decorated with two Ionic columns of granite, a wrought iron balcony and the family crest. The ground floor was originally a porch for carriages and provides access to the central courtyard with its stone columns and wooden galleries. 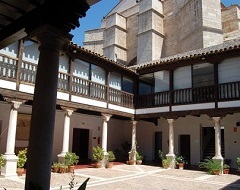 The iconic Old Merced Convent, a seventeenth century building which was restored to celebrate of the four hundredth anniversary of Don Quixote, plays host the exhibition entitled "Art in the Spain of Don Quixote", and provides a broad perspective of the Spanish art scene at the time of Don Quixote. 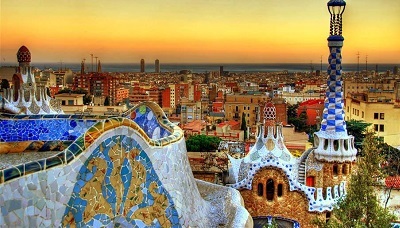 Tapas are the greatest treasure of the city’s gastronomy. Tapas are a wide variety of appetizers or snacks in the Spanish cuisine. These are generally served free when ordering a drink in any bar or restaurant. The area around the Plaza Mayor and Calle Palma are good zones to try tapas, where you can find them for between 1.50€ and 2€.